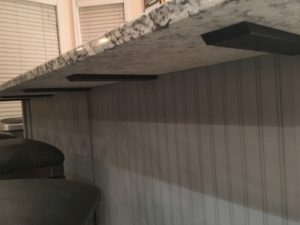 Want an Industrial Bracket for existing countertops or shelves? 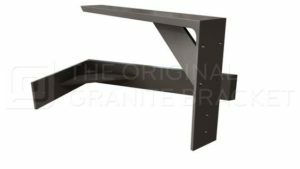 The Large Shelf Bracket by The Original Granite Bracket is the perfect choice. Free floating shelves, floating bar-tops or even floating desks are supported by the Large Shelf Bracket. This steel support bracket is the work horse of the brackets, giving the industrial style many customers desire. This bracket is made to handle the toughest jobs. Because of the vertical angles which are welded in place, this bracket is almost indestructible. It is ideal for interior and exterior applications.